Ram 1500 is a classy yet powerful truck which is perfect for towing and hauling. It provides a smooth ride along with a comfortable and smart interior. In the earlier times, trucks were considered to be rough and rugged, comfort and luxury were not usually associated with them. 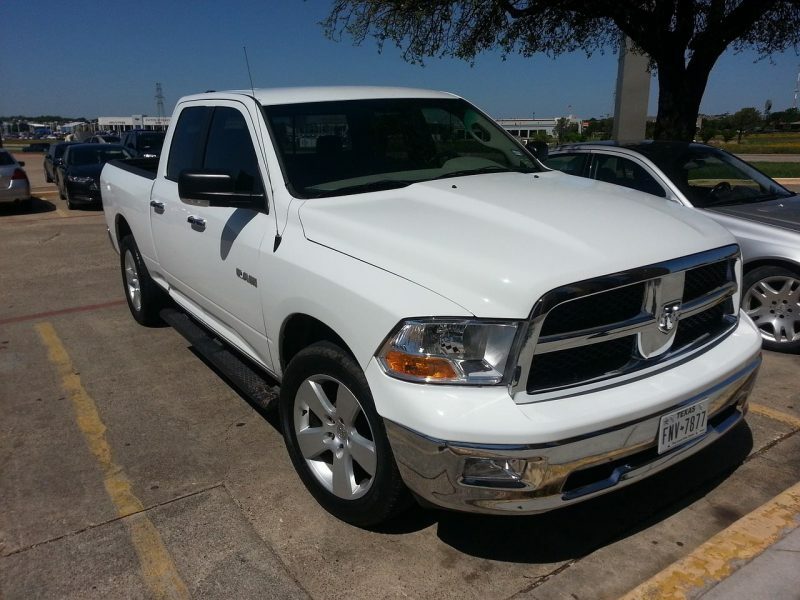 However, Ram 1500 is a perfect blend of comfort, luxury, reliability, and high performance. It has all the features that you look for in a heavy-duty truck. Due to its extraordinary exterior, it definitely has the ability to steal the attention of many. Ram 1500 allows 3-6 individuals for seating which is great. Ram 1500 has cushioned seats which ensures maximum comfort of the passengers. Some trucks have very uncomfortable seats and they lack space as well which make the ride uncomfortable. Unlike those, Ram 1500 has a lot of leg space and allows the passengers to ride comfortably. Ram 1500 comes with a heavy-duty 305-horsepower V6 base engine and it also offers a 395-horsepower V8. Both the engines are known for their amazing power and performance. However, if you are opting for towing and hauling then V8 is certainly a better option. Both engines provide smooth rides and efficient working. Mileage differs for the two engines which are V6 and V8. For the V6, it is estimated that it provides 20-25mpg while the V8 provides 15-22mpg. Considering the mileage, it is observed that the V8 will cost slightly more because it consumes midgrade gasoline. In comparison with its competitors, you will notice that the V8 will cost you slightly more many because of the consumption of midgrade gasoline. Mostly, Ram 1500 is used for towing and hauling purposes because of its efficient and powerful performance. It has the ability to tow about 12,750 pounds while it can haul about 2,000-2,300 pounds. These numbers are amazing for the horsepower and they are one of the bests. The cabin of Ram 1500 is high class, it ensures maximum comfort of the passengers with cushioned seats. It is spacious and it has a variety of advanced technological features. Some of the incredible features include automatic emergency braking, lane keep assist, parking assist (parallel and perpendicular), traffic alert and so many others. Above all, it has an intelligent yet attractive interior which provides comfort and efficiency both. Ram 1500 has advanced technological features for driver’s assistant but it also provides infotainment. It has smart features including Bluetooth, USB ports, a navigation system, satellite radio, audio system, infotainment system with comes with a 5-inch touch screen. The screen size varies with different models. You can reach the controls without any hassle and enjoy crisp and clear graphics provided by the touch screen. Ram 1500 not only provides a comfortable ride along with smooth running, it also focuses upon the safety of the individuals. There are a variety of features that are inbuilt for driver’s assistance focusing upon safety. Some of these features include parking assistance (parallel and perpendicular), emergency braking, lane departure warning, collision warning, sensors, and many others. Most of the trucks consume a lot of fuel while giving less mileage. Ram 1500 ensures fuel efficiency and gives you good mileage. It also allows off-roading and it has powerful brakes which allow you to stop anywhere you need. This model has smart features including Bluetooth, USB ports, camera, infotainment system which comes with a 5-inch touch screen. The bighorn includes upgraded infotainment system which has an 8.4-inch touch screen with clear graphics. It also has satellite radio and Apple Car play. The infotainment system in Rebel also consists of an 8.4-inch touch screen. It has many smart features including car parking assist, climate control system, parking sensors, and many others. The Laramie also has an 8.4-inch touch screen along with other amazing features including blind spot monitoring, rear cross traffic alert, parking sensors, and others. It has a variety of smart features including automatic braking system, surround view camera, park assist, adaptive cruise control and many others. When you are keeping a heavy-duty truck, it is very necessary to ensure its maintenance as well so that it keeps running efficiently and smoothly. There are certain steps that you must follow while the maintenance of the truck. The truck comes with heavy duty tires but they still need to be checked regularly. Make sure that the air pressure is correct. While off-roading, the tread of the tires can wear off. You need to replace the tires when the tread wears off because it can cause accidents. Oil is the lubricant and prevents deposition, you can check the oil from the oil dipstick and get it changed when needed. Dirty oil will reduce the life of the engine and will also lead to a decline in fuel efficiency. If the oil is replaced on time it will certainly give a boost to your truck. Air filters can get dirty as well, you need to change the filters when there is a need. If you are experienced, you will be able to do this task yourself but if you are not experienced then you can get it changed from the mechanic. You need to go through an overall safety inspection, checking the oil, tires, battery or any other part that you think needs to be monitored. You can also get it done once in a month from a professional in order to ensure that everything is in place and in the right condition. The battery also needs to be monitored, the minerals can build up on the battery and sometimes, leakage can also happen. Make sure that you clean the battery when you feel that there is a need. Make sure that you get a car wash on a regular basis and you also need to keep the interior clean. Get the seat covers changed when they are dirty. Ram 1500 is one of the most popular and known truck because of its classy yet heavy duty looks, refined performance and luxurious cabin. It has supreme quality seating along with amazing smart features which provide infotainment and navigation system. It has amazing towing and hauling capabilities in comparison with other trucks. It ensures maximum comfort along with high performance. It also has the capacity to ensure fuel efficiency. The towing capabilities are supported by technological advancements. The cabin is quiet and has a sleek finish. It will definitely seem luxurious, unlike other trucks. The newer models of Ram 1500 have a reduced weight as compared to the older models. It also comes with a new mild hybrid power system. Ram 1500 has more pros but there two things which the buyers might not appreciate much. The first thing is that some models might not be capable of off-road trims. The other thing is that the V8 engine consumes midgrade gasoline which is more expensive as compared to the regular gasoline. This might get slightly costly for you. Q1) Why is Ram 1500 better than other trucks? Ram 1500 is better than other trucks because it is a perfect combination of performance, technology, and comfort which most trucks lack. It has advanced features that ensure safety and also assist the drive, parking assist, lane keeping assist, navigation system and so many others. It has uncompromising towing and hauling capacities which is why Ram 1500 is far better than other trucks. Not only does it function amazingly, but it also looks very classy. Q2) Does the truck have smart features? Yes, the truck is a combination of performance and technological advancements. It provides infotainment, it has Bluetooth, comes with a navigation system, it also has a touch screen which provides crystal clear graphics. Some of the models have a 5-inch touch screen while others might have a 12-inch screen. Depending upon the model, different trucks have advanced features. Q3) How is the seating of Ram 1500 different from others? Firstly, the seating of Ram 1500 is cushioned. It is greatly spacious which provides maximum comfort to the passengers. The seat covers are pure leather and are amazing as compared to other seats. Some of the seats can be easily cleaned as they are waterproof. You will not have to spend hours cleaning the seats. A heavy-duty truck which is a blend of high performance, technology and grace is a dream of every truck owner. Ram 1500 has all the features that you may be looking for in a truck. It has different models and different engines. Each model comes with a vast variety of features that ensure the facilitation of the owner. Not only does it perform well but it also looks great. Ram 1500 is well known because of its amazing towing and hauling capacities. It is one of the most popular truck because of its features that aim at providing comfort and efficiency. www.lightscoop.com is a participant in the Amazon Services LLC Associates Program, an affiliate advertising program designed to provide a means for sites to earn advertising fees by advertising and linking to Amazon.com. Amazon, the Amazon logo, AmazonSupply, and the AmazonSupply logo are trademarks of Amazon.com, Inc. or its affiliates.